There are lots of young audiences on Snapchat and sharing your video campaigns on Snapchat will help to reach this audience and generate leads. The ads can engage these young customers to spark excitement about the product or service. Snapchat gives the option of op-in to receive the ads. When users want to receive the ads, they prefer content that is entertaining and engaging. Since the snaps are of unique view nature, the users pay more attention to it as they know that it cannot view again. There is a feature ‘Discover’ on Snapchat which can be used to increase the reach. Snapchat is a closed app and only those who downloaded it can see the pics and videos. Marketers can easily reach only the target audience. Exclusive and real content shared on Snapchat, and it is attracting creative and serious content. 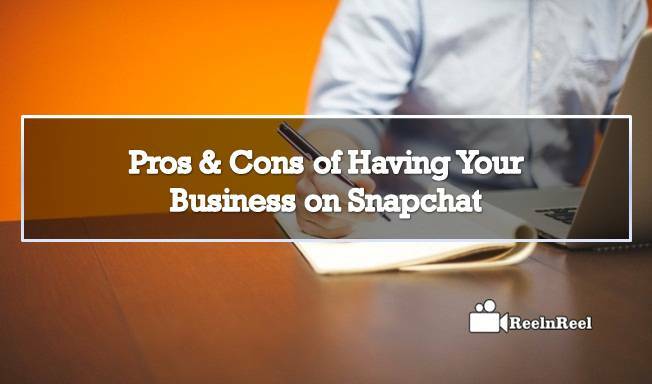 The single view nature of Snapchat can be a disadvantage as the prospective customer may miss the vital information about the business. It is difficult to find whether your message reached the audience or not. The number of views cannot confirm whether they watched the video or not. The campaigning videos posted on Snapchat deleted after twenty-four hours. After that, it cannot get back. Thus the marketer needs to save the clip before or after posting it. There are very few ways to track the performance and effect of the snaps.